In the summer of 2012, while pursuing my Doctor of Ministry from Drew University, I was presented with the unexpected opportunity of taking an elective course called Celtic Spirituality. It required that I travel with the professor and six other students by plane to Manchester, England, then by train into Wales, then by van to the village of Aberdaron, and finally by ferry boat to Bardsey Island. Remote and rather barren (see the picture below), Bardsey has only four permanent residents. Nevertheless, it holds a special place in the cultural life of Wales. Due to the large number of Christians buried there, it is known as “the island of 20,000 saints.” Legend has it that King Arthur is one of those buried there. As a result, the island attracts large numbers of artists, writers, musicians and pilgrims (my class included). 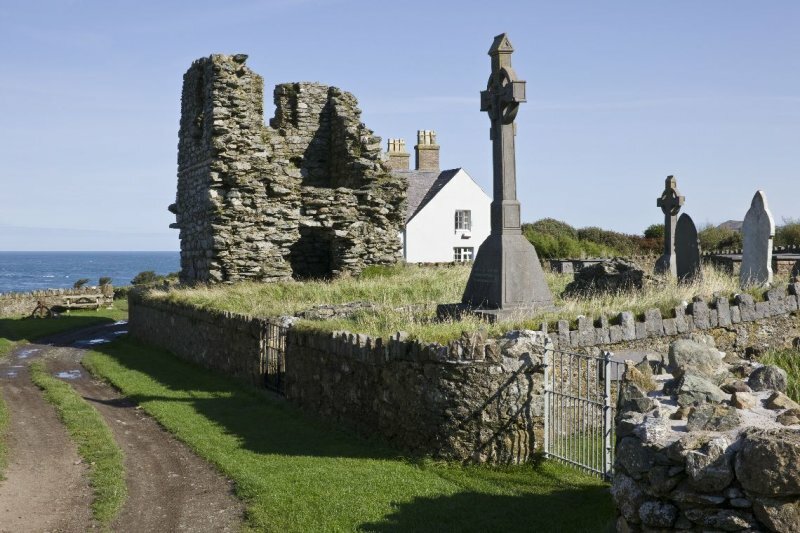 In AD 516, an Irish priest named Cadfan sailed to Bardsey with 25 monks and began a monastery that operated through 1537. It was the mission of my class to recreate monastic life some 475 years after the monastery closed. In order to be formed into a monastic community, each of my classmates was assigned one of several roles: abbot, deacon, cellarer, cantor, acolyte, or the one I was assigned: lector. The job of the lector is to prepare the readings assigned for the mass (liturgical church service). The lector then either reads those long passages or assigns others to read them. I had no idea of the large amount of scripture that is read in these services. Initially, my reason for reading the passages had to do with fulfilling a degree requirement. But as I read, I was surprised by the profound, personal impact it had as I experienced the Word of God washing over me. As I went back and forth between Old and New Testament readings, my appreciation for Holy Scripture was renewed and deepened. The course professor, an Episcopal priest, gave me some special attention (perhaps his Tennessee roots paired well with my North Carolina roots!). He teased me incessantly, noting that though we Evangelicals say we are Scripture-based, we read far less Scripture in our worship services than do churches that follow the historically-orthodox worship liturgy. He made a strong case for making Scripture reading a primary part of all worship services. Being immersed for a week in Celtic spirituality had a significant impact on me. I was particularly moved by sharing in deep, rich community with fellow students. Together, we prepared meals, engaged in morning and evening prayer, daily mass, and other class exercises. But the takeaway I want to share with you is the profound power of Scripture reading in worship services. If your congregation does not already read significant portions of Scripture in each service, I encourage you to do so. For two examples of how God is heard through the reading of Scripture, read aloud Ephesians 5:21-33. Do you hear God’s instruction concerning marriage spilling over into the mystery of the relationship of Jesus to his body, the church? As we listen, our minds become filled with awe and anticipation. The metaphor of being cleansed by the washing water of God’s Word infers how Scripture is every bit as inspiring and transforming as it is instructive. Now read aloud Psalm 119:9-16. What do you hear? What do you experience? I encourage all our congregations to follow the Revised Common Lectionary (RCL) in their worship services. 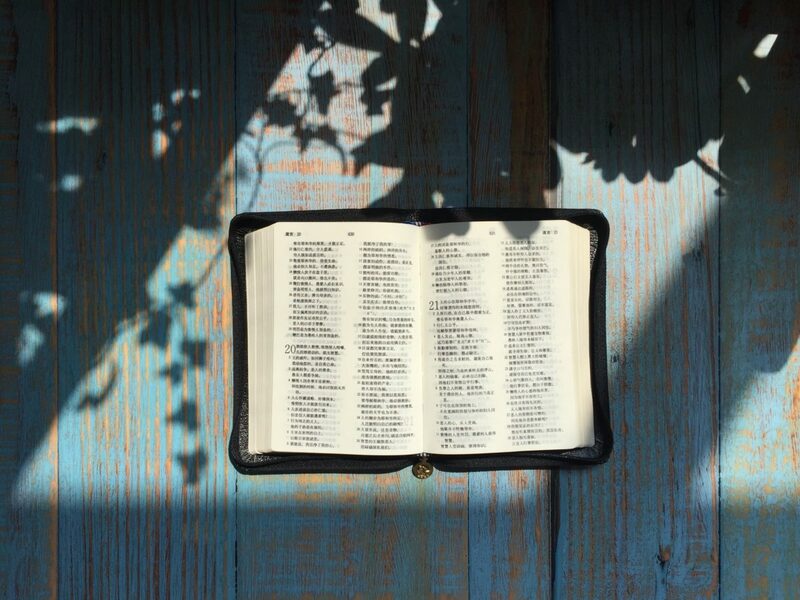 Each week the RCL has assigned Scripture readings (called “lessons”)—one from the Old Testament, another from the Psalms, one from the New Testament Epistles, and another from the Gospels. Typically, the sermon expounds on one or more of these passages. You’ll find manuscripts for RCL-synced sermons written by GCI pastors and elders in each issue of GCI Equipper (click here for the sermons published to date). Along with each sermon we also provide a Speaking of Life video and discussion questions synced with the readings and sermon. I encourage you to take advantage of these resources as you proclaim and celebrate the Word of God. This “From the President” letter is by Joseph Tkach, Chairman, GCI Board of Directors. Advent, which spans four Sundays (starting on December 2 this year), is a season of preparation for Christmas. During Advent we ponder the marvels of Jesus’ multiple “comings” (advent means coming). One of those marvels is the Incarnation by which the omnipresent God came even closer to us in the person of the God-man Jesus. As Luke proclaims, because Jesus has come, “nothing is hidden that will not become evident, nor anything secret that will not be known and come to light” (Luke 8:17, NASB). I like Luke’s use of “come to light”—it’s an idiom that points to the reality that with the coming of the incarnate Son of God to earth, things previously hidden about God and humanity are now revealed. The Greek word translated face is prosopon from pros (meaning toward) and ops (meaning face or eye). It can also be translated presence. With the advent of Jesus, the everywhere-present though hidden God may be seen (experienced) through the Spirit in a deeply personal, face-to-face way. Though omnipresent, God cannot be contained by created time and space. Through the Incarnation, God made himself personally present to us in Jesus. 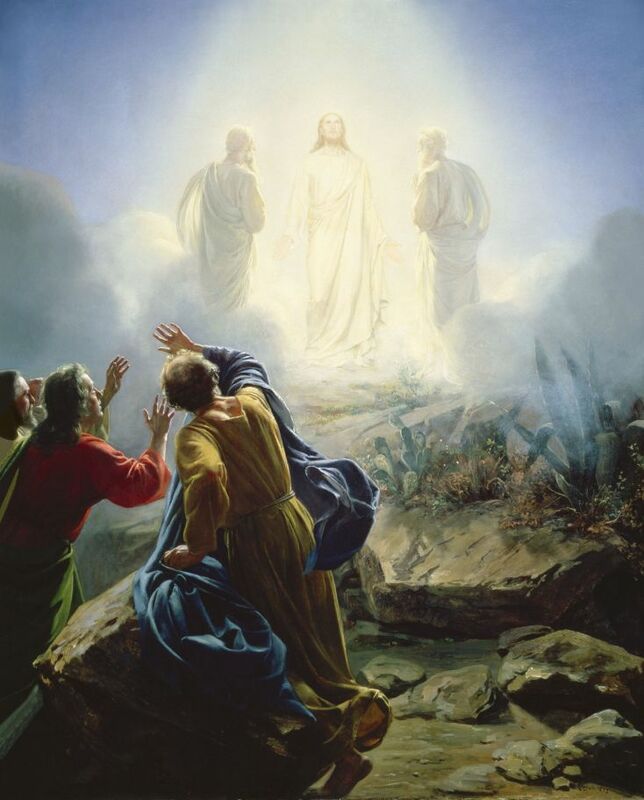 The Son of God first came to us through his human birth; since his ascension he is coming to us by his Spirit; and at the end of the age he will come again bodily. Christ has come, Christ is coming, and Christ will come again. The season of Advent reminds us that God is not limited by the Incarnation. God remains Father, Son and Holy Spirit; and the Son of God remains who he was from all eternity, while assuming a complete human nature. Because of the Incarnation, our uncreated, omnipresent God is present to all created things while remaining God over all things. 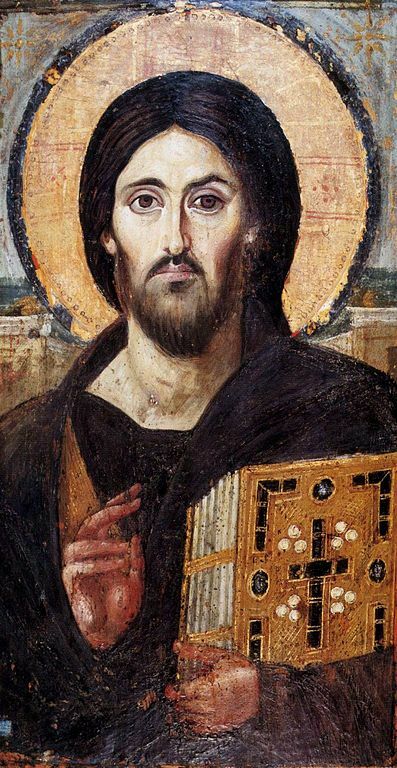 As portrayed in the famous icon at right, the Son of God, who was divine before the Incarnation, remains divine even while being with us in the human person of Jesus. As affirmed in the Chalcedonian Creed, Jesus is one person with two natures. Jesus was, is, and forever will be, fully God and fully human. The incarnate Son of God made this great sacrifice in order to reconcile, regenerate and transform within himself our rebellious, corrupted human nature. That transformed human nature is then shared with us by the Holy Spirit who ministers to us the things of Christ. The wonder of the Incarnation, which we ponder during Advent, truly is beyond our ability to fully grasp. Nevertheless, it inspires our adoration and thanksgiving. Advent, along with Christmas and the other celebrations in the liturgical calendar, reminds us that our omnipresent, triune God reached down to us so that we might be lifted up to him. Thank you, Jesus! PS: Due to the U.S. Thanksgiving holiday next week, the next issue of GCI Update will be published on November 28. Happy Thanksgiving to you all. Never in my 58 years with WCG/GCI have I experienced a smoother, more meaningful transition in leadership. 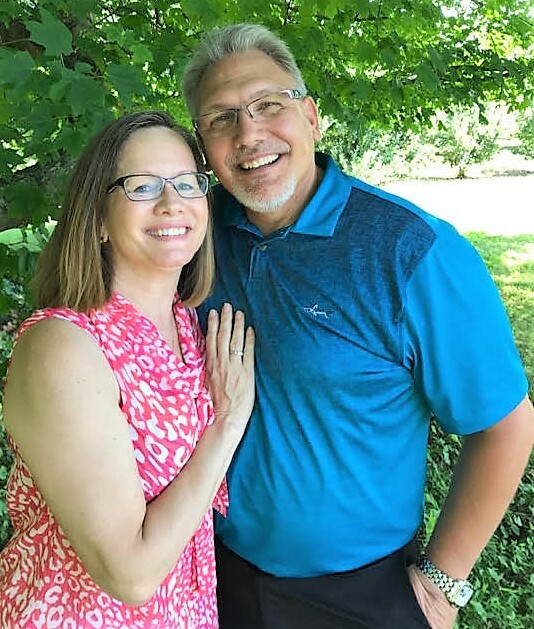 The honor given to Joseph and Tammy Tkach at the Passing of the Baton ceremony was equaled only by the support shown to Greg and Susan Williams. 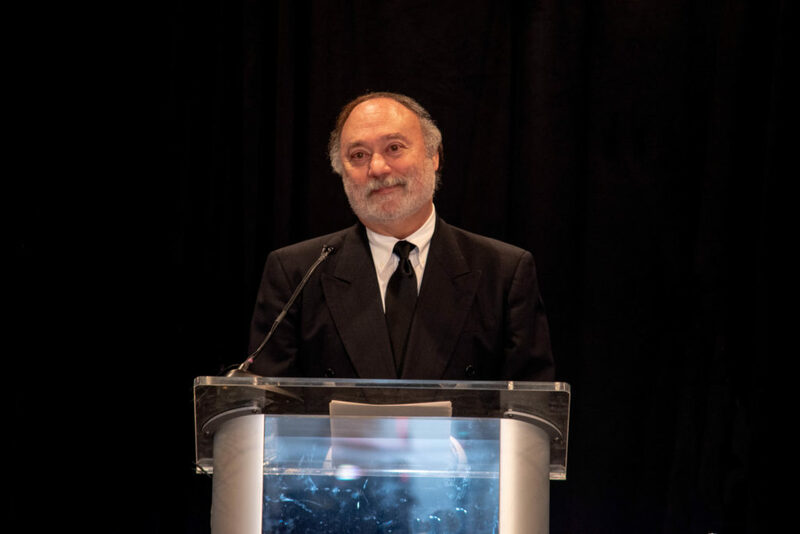 The ceremony included presentations recounting the journey of change GCI experienced under Joseph Tkach’s capable leadership. Russell Duke (Vice Chair of GCI’s Board of Directors) provided an overview of the Tkach presidency. Michael Morrison (GCS Dean of Faculty) then gave a brief history of how Grace Communion Seminary began. That was followed by a presentation in which Celestine Olive (GCI Board Member) recounted how GCI’s teaching regarding women in ministry changed. 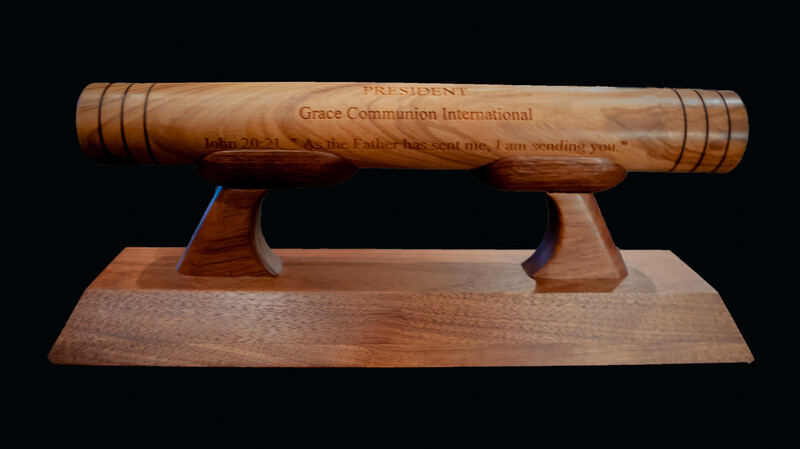 Ted Johnston (GCI Publications Editor) then reviewed the process by which the denomination’s name was changed to Grace Communion International and the significance of the new name. Gary Deddo (GCS President) then addressed GCI’s journey of embracing incarnational Trinitarian theology. 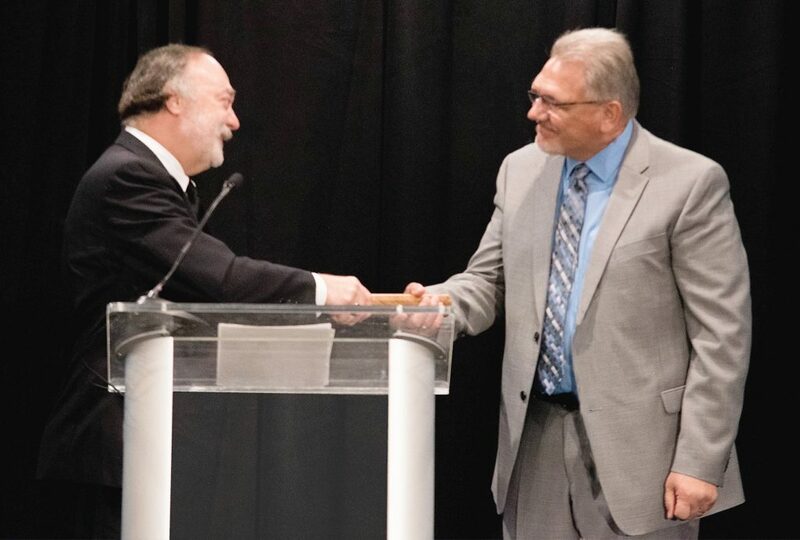 These presenters were then followed by President Tkach (pictured below) who addressed the significance and process of passing the baton of GCI’s presidency to Greg Williams. 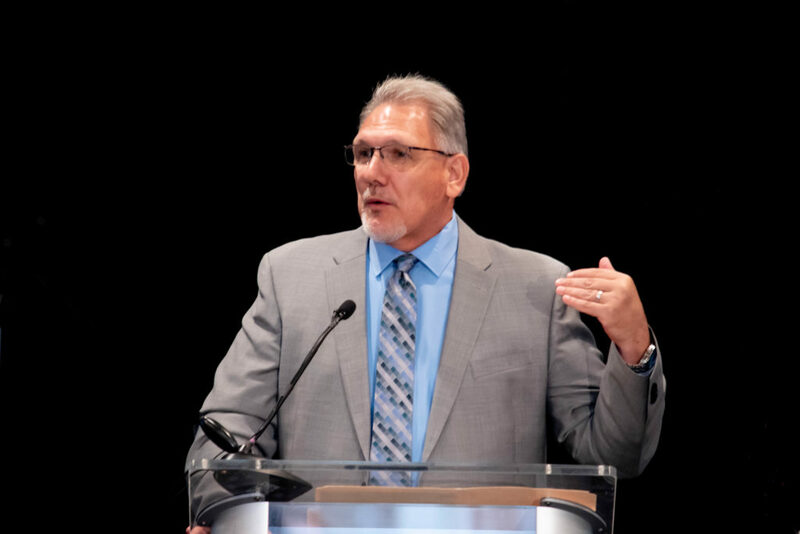 Following the passing of the baton (see above), Greg (below) addressed the audience, speaking about the way forward for GCI and his excitement concerning how the Father, Son and Spirit are leading our journey. 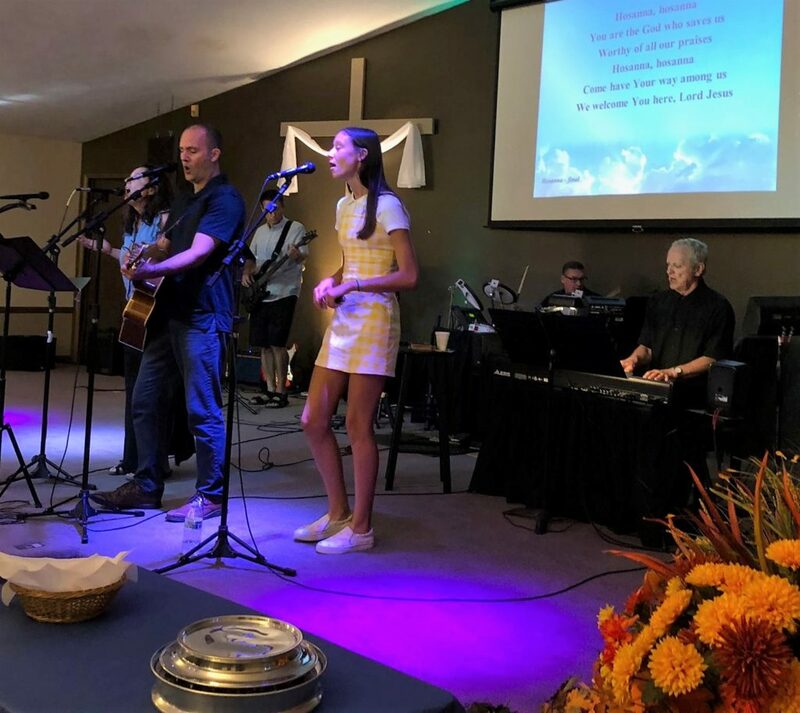 The special worship service was concluded with Communion and a benediction as one era of GCI ended and a new one began. It’s hard to capture in words the wonder of what was a very special day. Hopefully, the pictures provided with this report, and the videos linked at left will help. Note as well the comments below from GCI denominational leaders who were in attendance. GCI is blessed to be a diverse mix of people who are growing in unity. “Unity in diversity” is God’s idea. It is his purpose to make all people groups (with their diverse cultures, ethnicities and races) one family in and through Jesus. For GCI to realize its Healthy Church vision, we must all cherish and make more room for this diversity, while strengthening our unity. It was toward those goals that 52 GCI members from all five GCI-USA regions, gathered recently in Columbus, OH, for Together in Christ (TIC) 2018. The group was a marvelous mix of pastors, ministry leaders, pastoral residents and interns. Voices young and old spoke into the discussions from the vantage point of their life experience and contexts. All the discussions were seasoned with the grace of Christ that has transformed the participants. Below is a picture from the summit (for additional pictures and a video, click here). We need to understand that the love of Christ is the fuel that drives us toward understanding people who are not like us, and then brings about genuine harmony in the relationship. I applaud the TIC planning committee for using 2 Corinthians 5:14 and the verses that follow as the guiding text for the summit. We need to embrace the reality that God has called us to be reconcilers. As the apostle Paul notes in 2 Corinthians 5:18, we have been given the ministry of reconciliation, which means joining, by the Spirit, with Jesus in his ongoing ministry. To reconcile means to restore relationship. We do this through acts of love, including listening to understand. We move toward reconciliation by offering olive branches and through other ways of being proactive as peacemakers. Reconciliation typically takes time and many patient encounters. Guess where the needed patience, love and peace come from—that’s right, from the Great Reconciler himself! We need to create a culture of small groups. The summit participants were energized by lively small group dialogue. Notice I said “dialogue”—it was not mere chit-chat or surface conversation. But it wasn’t argument or debate that results in winners and losers. The dialogue in small groups at TIC was authentic exchange grounded in mutual respect with loving support. The summit participants agreed to be agents of change by bringing this type of dialogue home to their local congregations and other groups. A culture of small groups provides safe places where challenging social topics can be addressed in light of the person and presence of Jesus, and within the intimate circle of the church. That is quite a contrast with the contentious, open-ended exchanges often seen in social media. We need to learn from each other. We saw a great example of this following TIC 2017 (held in Atlanta) with the birth of Kaleidoscope in Waltham, MA (Boston area)—a fun workshop environment that celebrated the various people groups in that community, allowing each group to learn about one another (click here for an earlier Update report on that event). Generations Ministries (the sponsor of TIC) plans to continue TIC summits and related events as GCI continues to promote healthy cross-generational, cross-cultural relationships. The participants at TIC 2018 were asked to consult with their Regional Pastor about pursuing similar summits closer to home. 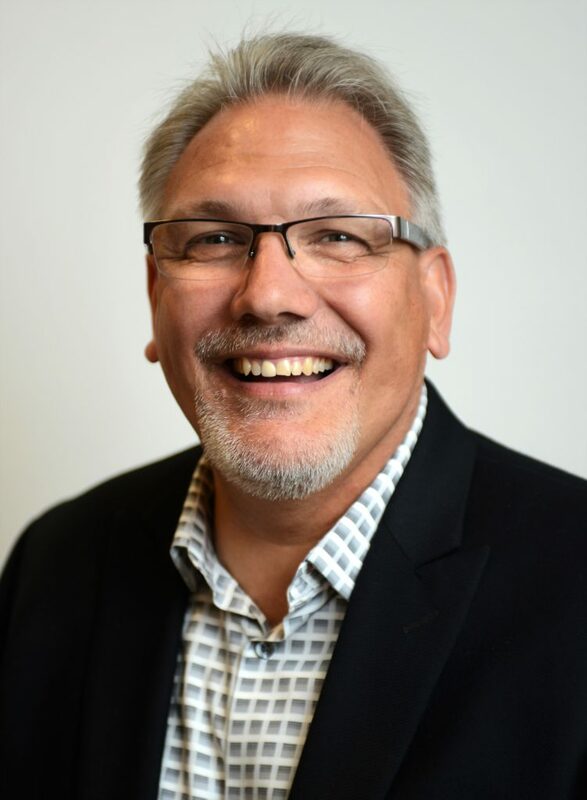 GenMin National Coordinator Jeff Broadnax is already working with GCI Regional Pastor Mike Rasmussen and the leaders in his congregation to make Oklahoma City, OK, the site for TIC 2019. 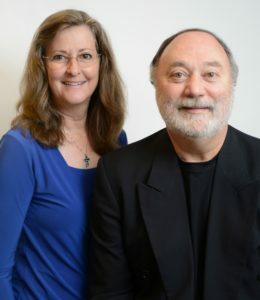 Please keep our planning committee in your prayers, asking God to help GCI continue growing as a faithful witness to the kingdom of God (concerning the nature of that witness, be sure to read the third and concluding part in Gary Deddo’s essay, “The Church, the Kingdom and Human Government”). We invite you to continue watching the GCI website, Update, and Equipper, for the inclusion of the great variety of faces that make up our church around the world. We truly are a diverse, international communion of grace—unity in diversity. We are GCI! PS: The next Update will be published on October 10, with Equipper being published on October 3. “From the President” this week is by GCI Vice President, Greg Williams. My father, Dean Williams, provided my first link to GCI (formerly WCG). While serving as a lay pastor in a small Advent Christian church in Dana, NC, dad began studying WCG literature. 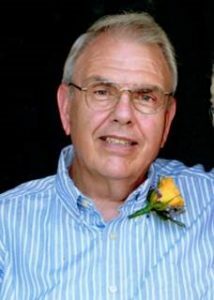 Then in 1974, he contracted Ankylosing Spondylitis, a crippling form of rheumatoid arthritis that caused his vertebrae to begin fusing, resulting in terrible pain. As a result, he was bedridden for a year. He used that time to study WCG’s 58-lesson Ambassador College Bible Correspondence Course. Though lacking formal Bible training, my dad had always been a dedicated student of the Bible. So, after completing the Correspondence Course, he had many questions. In 1975, he contacted WCG headquarters in Pasadena, CA, and was put in contact with Hugh Wilson, the WCG pastor nearest our home. When the two met, my dad wanted to discuss the book of Romans. My dad’s contention was that in Romans, grace wins out over law. 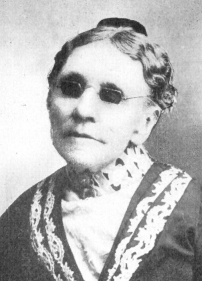 Pastor Wilson countered with WCG’s belief that God’s law was still in force since the church lives in the time between the old and new covenants (with the new not fully in force until Jesus returns). Acquiescing to Hugh’s argument, dad led my family in leaving the Christian Advent church to become Sabbath-keeping WCG members. Every Saturday we would travel 30 miles to attend WCG church services in Asheville, NC. This meant that I was taken out of the normal routine of a 17-year-old who had been active in school life as a three-sport athlete. Instead, I became an active participant in WCG’s Youth Opportunities United (YOU) activities, driving across state lines to attend family weekends in places I had never visited before. I excelled in YOU track and field competitions, going from regional to tri-regional events, and then to the 1978 YOU national track meet in Pasadena, CA. I was then invited to attend a National Youth Leadership weekend in Pasadena. These activities solidified my desire to attend Ambassador College. There I met a co-ed named Susan Lang. We attended Ambassador from 1979 to 1983, and were married in 1984. 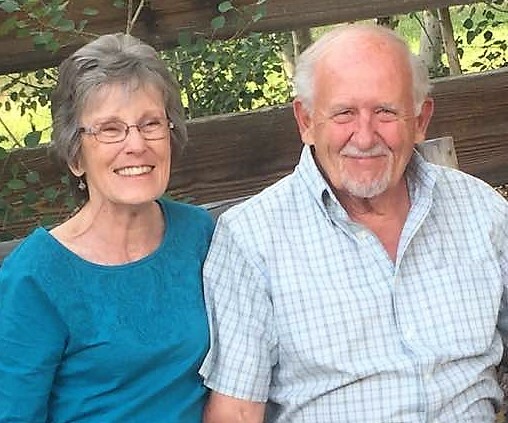 Linda and Hugh Wilson, who now live in Colorado Springs, CO. In October of 1986 I was ordained an elder in WCG and by the summer of 1987, Susan and I, with our newborn twins Glenn and Garrett, were on our way to Denver, CO, where I served as an Associate Pastor. There we crossed paths again with Hugh Wilson who was now the pastor of WCG’s congregation in nearby Fort Collins. Hugh and his wife Linda went above and beyond in making us (a couple with newborn twins!) feel accepted into ministry. We are still grateful for the wonderful way they treated us. Fast-forwarding now in the story, by 1996 WCG had fully embraced the biblical teaching that the new covenant was fully in force with Jesus’ death, resurrection and ascension. This means that the church is under grace, not law. That year I once again crossed paths with Hugh Wilson. Being a likeable and humble man, he said, “Greg, I guess your dad won that argument we had about the book of Romans!” We had a good chuckle, and when I shared the story with my dad, his heart was warmed. My dad’s journey, from grace to law, then back to grace, is also my story—one with a conclusion that is the testimony of all believers: Jesus is mine, and I am his. It seems there is always someone claiming to be a prophet or trying to calculate the date of Jesus’ return. I recently saw a rabbi attempting to tie the predictions of Nostradamus to the Torah, and another fellow predicting that Jesus will return on Pentecost 2019. Many prophecy buffs try to fit current news events into Bible prophecy. Though both Herbert Armstrong and Karl Barth advocated “holding the newspaper in one hand while reading the Bible in the other,” they had very different things in mind. Armstrong was promoting a premillennial-dispensational, futurist approach to prophecy (one still followed by many) and Barth was urging people to stay firmly grounded in Scripture while seeking to understand the ever-changing modern world. “Take your Bible and take your newspaper and read both,” said Barth, “but interpret newspapers from your Bible.” Barth had it right—he understood that staying firmly grounded in Scripture enables us to, 1) understand the core message of the Bible (including its prophetic passages) and, 2) navigate our way through life within a culture that constantly challenges Scripture. We can confidently follow Barth’s advice knowing that the Bible is reliable. That God has given us reliable copies of Scripture was affirmed in the discovery (beginning in 1946) of the Dead Sea Scrolls. Old Testament fragments in those ancient scrolls agree 98% of the time with the texts of Scripture passed down to us. Jesus taught that the purpose of Scripture is to reveal God—his character, purpose and nature. The Bible fulfills that purpose by pointing to Jesus who is the full and final revelation of God. A Christ-centered reading of Scripture helps us to stay true to that purpose, and helps us avoid misinterpreting prophecy. Jesus teaches that he is the Living Center of the whole of biblical revelation and that we ought to interpret all Scripture (prophecy included) out of that center. Jesus scathingly criticized the Pharisees for failing on this point. Though they looked to Scripture for eternal life, they failed to recognize Jesus as the source of that life (John 5:36-47). Ironically, their pre-understanding of Holy Scripture blinded them to the fulfillment of Scripture. Jesus showed how to rightly interpret the Bible by showing how all Scripture points to him as its fulfillment (Luke 24:25-27; 44-47). The testimony of the apostles in the New Testament affirms this Christ-centered interpretive method. As the perfect image of the invisible God (Col. 1:15), Jesus reveals God’s nature through his interaction with humanity. This is good to bear in mind when reading the Old Testament. It’s especially relevant in keeping us away from things like trying to apply the story of Daniel in the lion’s den to a current situation in our world, say a vote for political office. The prophecies of Daniel are not given to tell us who to vote for. Rather, the book of Daniel shares a story about a man being blessed for his faithfulness to God. In that way, Daniel points to the faithful God who is always for us. But is the Bible relevant? Many people question the idea that a book as ancient as the Bible can be relevant today. After all, the Bible says nothing about such modern things as cloning, modern medicine, and space travel. Modern science and technology raise questions and conundrums that did not exist in Bible times. Nevertheless, the Bible is highly relevant in our day because it reminds us that our technological advances have not changed the human condition, nor have they changed God’s good purpose and plans for humankind. The Bible enables us to understand our role in God’s plan, including the coming fulness of his kingdom. Scripture helps us recognize the purpose and meaning of our lives. It teaches us that, rather than ending in nothingness, our lives are headed toward a great reunion where we’ll meet Jesus face-to-face. The Bible reveals to us that there is meaning to life—we have been created to be in union and communion with our triune God. The Bible also provides a guide to equip us for this abundant life (2 Tim. 3:16-17). It does so by continually pointing us to Jesus, the one who gives us abundant life by connecting us to the Father (John 5:39) and by sending us his Spirit. Yes, the Bible is reliable, with a distinctive, highly-relevant purpose. Nevertheless, many people dismiss it. Back in the 1700s, French philosopher Voltaire predicted that in 100 years the Bible would pass into the mists of history. Well, he was wrong. The Guinness World Records states that the Bible is the best-selling book of all time. Over 5 billion copies have been sold and distributed to date. It’s both humorous and ironic that Voltaire’s home in Geneva, Switzerland, was purchased by the Geneva Bible Society and became a Bible distribution center. So much for predictions! Peter says that the Spirit of Christ (the Holy Spirit) is the source of prophecy, and that the purpose of prophecy is to predict the life, death and resurrection of Jesus. He implies that when you’ve heard the message of the gospel, you’ve heard all you need to know about prophecy. The apostle John made a similar point in writing this: “Worship God! For it is the Spirit of prophecy who bears testimony to Jesus” (Rev. 19:10b). Scripture is clear: Jesus is the purpose of prophecy. Bible prophecy tells us who Jesus is, what he has done, and what he will yet do. Our focus in GCI is on Jesus (and the life he gives us in communion with God) not on geo-political alliances, trade wars or whether someone predicted something in a timely manner. It is a great comfort to know that Jesus is both the foundation and the completion of our faith. Our Lord is the same yesterday, today and forever. PS: GCI Update will be published next on September 12. Look for GCI Equipper on September 5. For those of you in the U.S., I wish you a relaxing Labor Day holiday on September 3. Author Posted on August 22, 2018 Categories From the President3 Comments on Why prophecy? This “From the President” letter is by GCI Vice President Greg Williams. Unfortunately, many people (including some Christians) associate the term evangelical more with political and sociological positions than with the sincerely-held faith of a large group of Christians spread throughout the world. This misunderstanding is due in large part to the way the media uses the term evangelical, though it also results from organizations and individuals who, calling themselves evangelicals, espouse very conservative (even extreme) political and social ideologies. When we refer to GCI as being evangelical, we are using that term, not politically or sociologically, but theologically. To say that we are evangelicals is to say that we identify with Jesus Christ, who is the heart and core of the gospel (the evangel). The same can be said for the 40+ organizations (including GCI) that make up the National Association of Evangelicals (NAE). In the U.S., GCI has held NAE membership for many years. We also hold membership in similar organizations outside the U.S. While NAE members may not agree on all issues, they all are theologically evangelical—sharing a commitment to orthodox Christian doctrine and a passion to make Christ known to a lost and hurting world. 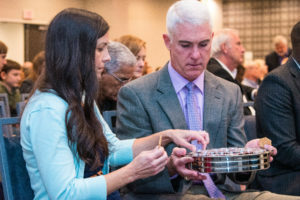 Through attending NAE meetings, I’ve come to know this organization as one that holds true to Christian orthodoxy, desires greater understanding and engagement with the culture, and demonstrates a humble spirit of self-reflection. I have been impressed with the quality of the speakers at NAE gatherings. They help NAE members grow in understanding how the gospel relates to the challenging and often divisive issues we face in today’s world. These issues include homosexuality, gender dysphoria, a worldwide refugee crisis, and Muslims in America. At one NAE gathering, we toured the U.S. capital and heard from members of Congress who are Democrats and Republicans. 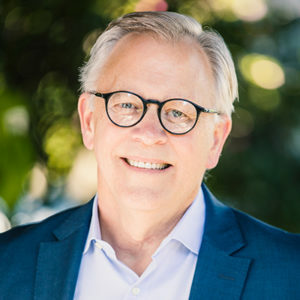 The goal of NAE President Leith Anderson is not to espouse sociological positions or political agendas, but to help the leaders of NAE member organizations gain a more fully Christ-centered, gospel-shaped perspective on what is going on in the world. It is striking that our context is the most pervasive influence that shapes us, even if we profess Jesus as Lord. A pure Christian identity isn’t available, because we all live immersed in context. Dr. Labberton also notes that we all need “a new social location”—a new mindset that results from the union and communion we have with Christ, by the Spirit. In GCI, we aspire to have that mindset—what we refer to as a Christ-centered worldview. We then seek to work across denominational lines with others who share this worldview. We come together through the NAE and other venues, not to justify ourselves, but to hear a fresh word from the Lord, who speaks to us all through Scripture and brings us all to see whatever blindness we may still suffer from. GCI and all NAE members aspire to be evangels who, with the Spirit’s guidance and empowerment, faithfully follow Jesus and his gospel. As evangelicals, we seek to witness to the truth that is in Jesus, who alone has the power to save. We strive to rise above personal hurts, prejudices and societal trends to confidently follow in Jesus’ footsteps. We seek to grow in Jesus’ faith, humility and compassion, including his commitment to justice and righteousness for the dignity of all people. 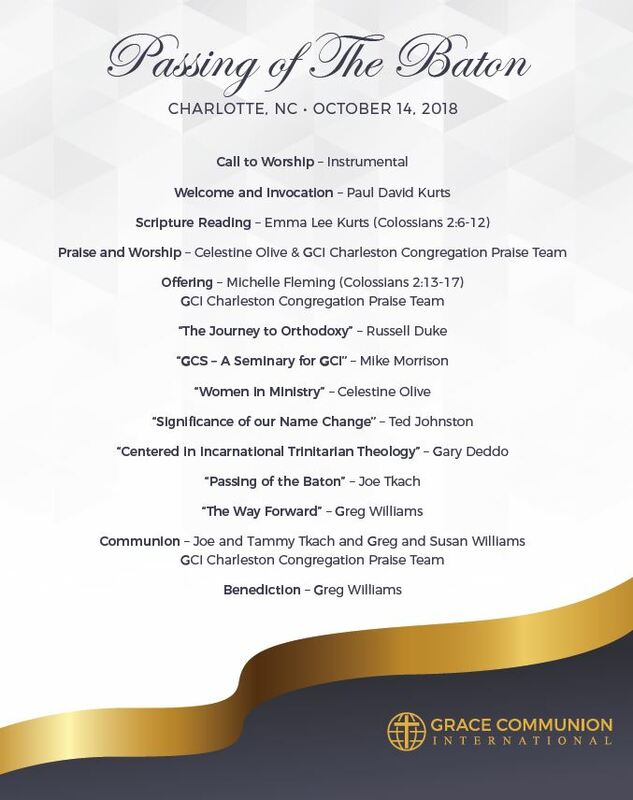 One of the benefits I derive personally from GCI’s NAE membership is the joy of rubbing shoulders with leaders from other denominations that share with GCI a commitment to Jesus and his gospel. I find them to be both encouraging and wise. It’s extremely helpful to me to talk with them about what they have experienced, and to compare notes about all manner of shared concerns and experiences. I pray that we in GCI will grow in our evangelical commitments and practices. I pray we’ll be even more passionate in expressing the love and life of Jesus through our actions, and in sharing the truth of his gospel in our conversations. PS: For help in approaching, with the mind of Christ, the challenging (and often divisive) ethical issues that arise in our world, be sure to read the Worldview Conversion series currently running in GCI Equipper—click here for the first article. I’m half-way convinced that I should write a book titled Transformed by Airplane Conversations. 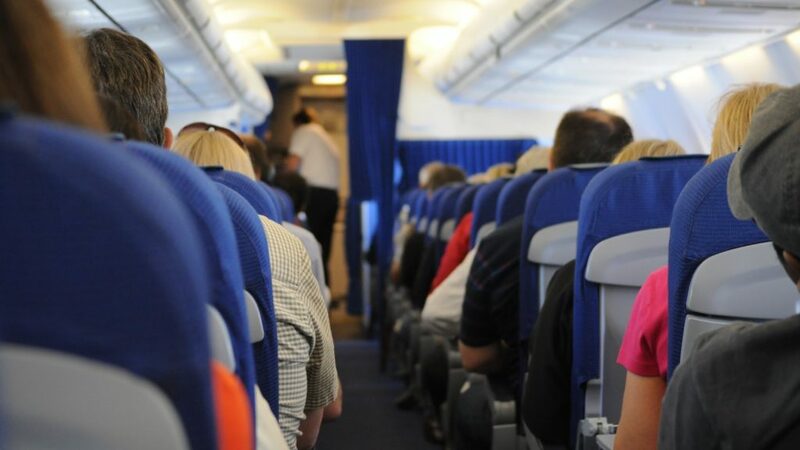 I have two reasons: First, over the years I’ve had some interesting conversations on airplanes with a variety of people, and at times the conversations have addressed the Christian faith. Second, your responses to my sharing these conversations in the past leads me to want to share some more. Though Christianity is not always the topic of my airplane conversations, sometimes it does come up—typically when my seatmate asks what I do for a living. When I reply that I’m a Christian pastor, the conversation often quickly ends. However, sometimes it continues. Let me share one of those times with you. As the flight was taking off, I began privately thanking God for the first class upgrade, which meant a more comfortable seat, some wine and lunch. My thoughts were interrupted when the man seated next to me introduced himself as a Jewish lawyer. Before I could reply, the flight attendant started serving lunch. First, she brought us shrimp cocktail, revealing that my seatmate was not a practicing Jew—he was eating his shrimp so fast that I decided to offer him mine. He gobbled it up right after telling me his doctor had told him to cut back on cholesterol! As we continued eating, he asked what I do for a living. I replied that I was a Christian pastor—fully expecting that he’d reply with silence, and I’d then be putting my earbuds back in to listen to an old Beatles’ album. But to my surprise, he continued the conversation, telling me that he respected me for being a Christian pastor! Thinking that he probably was at least an agnostic, I began by noting that, from my perspective, apart from God there is no logical, philosophical or reasonable explanation for how everything exists in our universe. I continued by noting that atheism is a false religion in that it requires an irrational faith commitment to believe that life comes from non-life, and that everything popped into existence on its own by accident, without any purpose. He agreed that the creation question was huge for him. I then attempted to illustrate the nature of atheism as a religion by showing that it makes its own faith statements and has its own evangelistic ministry. I mentioned the names of atheism’s two “apostles”: Stephen Hawking and Lawrence Krauss; and its four “evangelists” (pictured below, left to right): Richard Dawkins, Sam Harris, Christopher Hitchens and Daniel Dennett. Amidst our give-and-take, I made several points concerning atheism, noting that its belief in blind chance as the origin of an unimaginably complex universe takes as much or more faith than belief in a loving, sovereign God who created it all. I also mentioned that the atheism peddled by Dawkins and his cohorts focuses largely on what it doesn’t believe in and why it hates religion, especially Christianity. Though that approach might satisfy some people, it is not enough for me and many others who grapple with the great mysteries of life and reality. He asked why I have concluded that atheism is inadequate as a rational worldview. I replied by noting that atheism is unable to provide a consistent explanation for the origin and order of the universe. If an atheist argues that matter is eternal, they are going against modern science, which states that the universe had a beginning and is gradually running down. If they affirm that the universe had a beginning, then they must account for what caused that beginning. Either way, atheism cannot adequately explain the universe and a world full of complex life forms. I also noted that the atheistic worldview is incapable of providing the necessary preconditions to account for the universal laws of science and logic. In short, it is unable to account for the meaningful realities that people encounter in life, especially considering the atheistic view that we have no free will and all our choices are an illusion. I then noted that atheism cannot furnish a rational basis for determining good and evil, or the human need for absolute moral standards. If there is no God—who by definition is absolutely good—then there is no absolute standard for judging something to be good or evil. Ironically, atheism objects to the existence of God due to the presence of evil in the world, yet it is unable to account for the difference between good and evil, much less provide a solution, apart from God, to the problem of evil. My seatmate and I had an enjoyable exchange, and he said he appreciated most of my points. He confirmed that, while he is not an atheist, neither was he following any religion. He said he was searching, and felt he had not found the right place yet. Then he got up from his seat and headed for the restroom. While there, the smoke alarm sounded. Immediately, he was interrogated as to whether he had been trying to smoke a cigarette in the restroom. The flight attendant even asked me if I had seen him holding a cigarette when he entered and exited the restroom. When he was permitted to return to his seat, I told him that I know a good Jewish lawyer if he needs one! At first he laughed, but then he asked who I was referring to. He laughed again when I replied that I was referring to Jesus Christ, though this time his laugh was somehow warmer. As we deplaned and went our separate ways, I wondered what he had been thinking when I mentioned Jesus to him. I’ll never know, though I’m happy I had the chance to do so. On my way into the terminal, a quote from G.K. Chesterton came to mind: “If there were no God, there would be no atheists.” Something to think about. How do you find new church leaders?